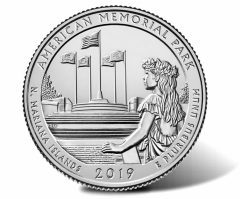 In late April, the United States Mint and the National Park Service will officially introduce the quarter celebrating American Memorial Park in the Commonwealth of the Northern Mariana Islands. This year’s second quarter ceremony will take place at the park’s amphitheater on Tuesday, April 30. 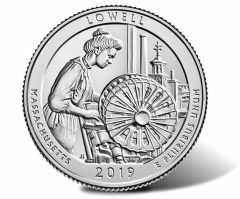 The United States Mint and the National Park Service will soon introduce the quarter celebrating Massachusetts’ Lowell National Historical Park. This year’s first quarter ceremony will take place at the Lowell Memorial Auditorium on Wednesday, Feb 6. 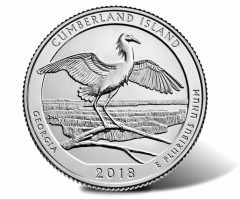 The United States Mint and the National Park Service will soon introduce the quarter that commemorates Georgia’s Cumberland Island National Seashore. 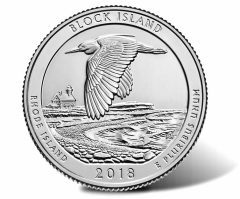 This year’s fourth quarter ceremony will take place at a high school near the seashore on Thursday, Aug. 30. 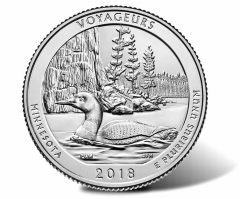 Next week, the United States Mint and the National Park Service will introduce the quarter commemorating Minnesota’s Voyageurs National Park. This year’s third quarter ceremony will take place by the park’s headquarters on Thursday, June 14. 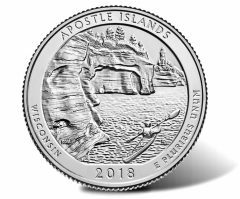 Next week, the United States Mint and the National Park Service will introduce the quarter dollar celebrating Wisconsin’s Apostle Islands National Lakeshore. This year’s second quarter launch ceremony takes place by the national site on Wednesday, April 11. 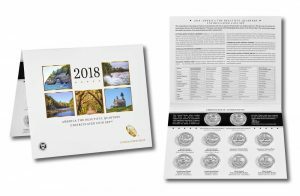 At noon ET today, March 29, the United States Mint will release its latest annual product for coin collectors, the 2018 America the Beautiful Quarters Uncirculated Coin Set™. 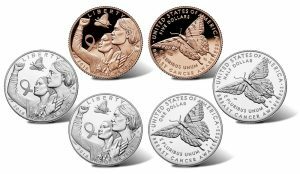 Today, the United States Mint will begin selling at noon ET its $5 pink gold, $1 silver and 50c clad 2018 Breast Cancer Awareness Commemorative Coins. 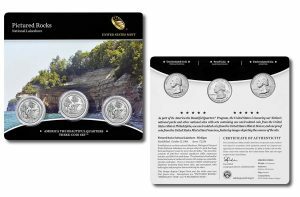 Today, Feb. 20, the United States Mint started taking orders for a three-coin set of Pictured Rocks National Lakeshore quarters for $9.95. 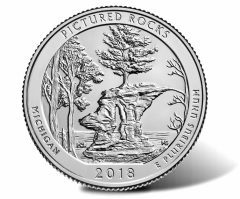 In less than a week, the United States Mint and National Park Service will officially introduce the quarter celebrating Michigan’s Pictured Rocks National Lakeshore. This year’s first quarter ceremony takes place near the national site on Wednesday, Feb. 7.